Paint your tin cans a base color. 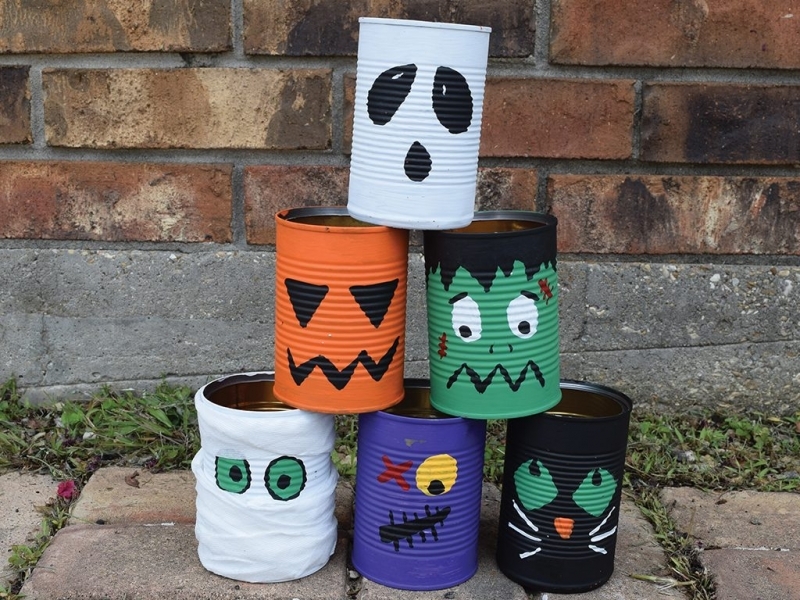 For our cans, we chose to create a mummy, Frankenstein’s monster, a pumpkin, a ghost, a purple monster, and a black cat. Our base colors were white, green, orange, purple, and black. Once the cans are dry, add faces and decorations to your tin cans using the paint or other fun objects you have lying around. Let the paint dry on the cans once more. Set up the cans in a pyramid formation. Stand back from the cans and roll the ball toward them for a fun and spooky game of bowling.